Using Hyperbole -Are You Risking Your Credibility With A Promise You Cannot Deliver? What is hyperbole anyway? Here’s a quick example. How would you respond as opposing counsel to a statement that there are “countless obvious examples” of the opposing party’s errors? Perhaps, something like, “Oh really?” “Countless and obvious, you say? How interesting that you did not name anything specific. We did what any reasonable company would do in a similar situation.” And, then you must explain what you meant all over again – if you get the opportunity. Simply put, hyperbole is deliberate exaggeration. Although often misguidedly used for emphasis, rhetoric, or even sarcasm, you invite an attack to prove your statement. At best, you may have illustrated that the other side’s behavior is outlandish. At worst, you have lost credibility with the court because you are unable to back up your statement with hard facts. Never imply a promise that you cannot deliver. This is a good time to remember that your writing is more persuasive when you show, don’t tell. If the opposing party has behaved beyond the pale, telling the court or the jury what happened (who did what to whom and why) will be more persuasive than rhetorical outrage. New Bill Proposes Free Access to PACER. ≈ Comments Off on New Bill Proposes Free Access to PACER. States have already made the leap to provide free access to cases on their judges’ dockets. You can read all documents filed by the parties and the assigned judge, the date of any hearing or trial date and their outcome, and access every document (for the most part) filed with the all state courts. Not so with the federal district, appellate, or bankruptcy courts. Your only access is through PACER, a completely different system. Lexis Advance Gets Touchy Feely. Let the Marketing Begin. ≈ Comments Off on Lexis Advance Gets Touchy Feely. Let the Marketing Begin. Free Online 2017 Edition of the Federal Rules of Civil Procedure. 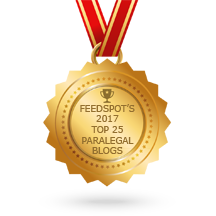 ≈ Comments Off on Free Online 2017 Edition of the Federal Rules of Civil Procedure. ≈ Comments Off on Written Discovery Basics. Need to Turn Your iPad Into Second Monitor? There’s an App for That. ≈ Comments Off on Need to Turn Your iPad Into Second Monitor? There’s an App for That. Source: Need to Turn Your iPad Into Second Monitor? There’s an App for That. ≈ Comments Off on Get Your Head Out of the Sand. Ambrogi includes a link to all states that have adopted an ethical duty of technology competence. My state is not yet one of them, but there is still no excuse.If your state has not yet adopted this ethical requirement, it is only a matter of time. As I continue to track the states that have adopted the ethical duty of technology competence, I have two more to add, bringing the total to 23. Don’t Challenge Under Rule 34 If You Cannot Explain Why. ≈ Comments Off on Don’t Challenge Under Rule 34 If You Cannot Explain Why. A Plaintiff brought a motion to compel the opposing party to organize and label their production to correspond to the categories in the Plaintiff’s Requests for Production. Things did not go well for the Plaintiff’s motion. . . . If You Sign A Waiver To Play Sports, Have You Agreed To Assume The Risk If You Get Hurt? ≈ Comments Off on If You Sign A Waiver To Play Sports, Have You Agreed To Assume The Risk If You Get Hurt? With the Super Bowl on the horizon comes the case of first impression of Feleccia v. Lackawanna Coll., No. 12-CV-1960, 2016 WL 409711 (C.P. Lacka. Co. Feb. 2, 2016 Gibbons, J. ), in which Judge James A. Gibbons of the Lackawanna County Court of Common Pleas was faced with the issue whether two junior college students who were injured at a preseason football practice were barred from recovering against the college because both signed waivers of liability prior to their injuries. . . .
2015 USSC Guidelines Manual and Proposed Amendments for 2016. ≈ Comments Off on 2015 USSC Guidelines Manual and Proposed Amendments for 2016. These rules became effective November 1, 2015. Find the Proposed 2016 Amendments here:http://www.ussc.gov/guidelines-manual/amendments-guidelines-manual. Legal Alerts – An Indispensable Tool for Anyone Who Uses OSCN. ≈ Comments Off on Legal Alerts – An Indispensable Tool for Anyone Who Uses OSCN. In a recent post, I talk about an update to OSCN, Oklahoma’s website to access Oklahoma appellate and district case law. I recently learned about another tool, Legal Alerts, that performs an extremely valuable service. If you subscribe to Westlaw or Lexis, you may already have this feature. Not all firms subscribe to Lexis or Westlaw, however. The price of both can be prohibitive for some smaller and solo firms. If you practice in Oklahoma, I strongly urge you to investigate Legal Alerts. There are various ways to use Legal Alerts. Here is an example. Have you ever had a case where opposing counsel simply “forgot” to mail you a copy of a document they filed with the court. With Legal Alert, you are notified by email every time any case within OSCN is filed in which your client has been named. You will learn of filed pleadings, orders, or other documents filed in the case before the copy has arrived in the mail. Legalized Software, LLC, the creator of ‘Legal Alerts’ announces an expansion of its existing service to include ‘Name Search.’ Name Search will expand our audience beyond lawyers to include journalists and other professionals that track court cases based on particular persons or businesses. Name Search allows for our clients to track new case filings that involve a particular persons or businesses by name. Legal Alerts monitors cases on the Oklahoma State Courts Network (OSCN) and emails case updates to subscribers. ‘The capability of receiving automatic updates from the Oklahoma State Courts Network about individuals or businesses in your inbox has been a highly requested feature and a great addition to our offering’ Says Co-founder Shawn Roberts. Adding to its already formidable feature set, Legal Alerts users can now track people or businesses by name. Simply enter a name and receive an email update when a new case is filed with that person or business. Read more about Name Search at http://legalizedsoftware.com. Legal Alerts is a monthly subscription service with plans to fit the needs of any size law practice with plans starting at $10.00 a month. The Name Search feature is available immediately for current Legal Alerts subscribers at no additional charge. . . . The Haubrich Law Firm, P.C. Right now I’m working on a personal injury case where a couple got rear-ended. They, and their passenger, were injured. One of my clients has two herniated discs is his low back, which is a serious and very painful permanent injury. Initially, they tried to negotiate and handle the case themselves, because they thought the liability insurance company would “do the right thing”. Not so much. They got frustrated and came to me a year later, after really mis-handling their own claim. Now, about another year later, I’ve about got the mess they created straightened out and am able to reach a settlement which more closely resembles reasonable compensation. So, Here are a few reasons to at least consult a lawyer immediately after getting injured, and BEFORE talking to an insurance liability adjuster. 1. You don’t know how to put a liability insurance claim together. Georgetown Law Creates Pro Bono Firm for D.C. Residents. ≈ Comments Off on Georgetown Law Creates Pro Bono Firm for D.C. Residents. Georgetown Law has announced that it has teamed up with law firms DLA Piper and Arent Fox to create a new nonprofit law firm designed to help low-income individuals with their civil law needs. Named the D.C. Affordable Law Firm (DCALF), it will be a nonprofit low bono law firm that will provide affordable, high quality legal services to D.C. residents who do not qualify for free legal aid and to small businesses and nonprofits in the District. The anticipated opening date is October 2015. . . .
A Valuable Cache of Legal Writing Articles by George Gopen. ≈ Comments Off on A Valuable Cache of Legal Writing Articles by George Gopen. 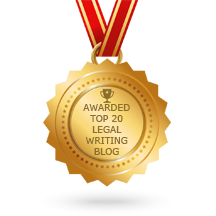 George Gopen, Legal Skills Prof Blog, Legal Writing, Litigation, Louis J. Sirico Jr.
George Gopen has been writing columns on legal writing for “Litigation,” the magazine of the ABA Section on Litigation. You can access them here. I cannot speak too highly of George’s work. Years ago, I attended one of his workshops and discovered a new way to think about writing. I have passed the lessons down to my students, and now, even years after they graduate, they tell me how greatly those lessons transformed their writing and contributed to their success. Google Now Voice Commands for Android Phones. ≈ Comments Off on Google Now Voice Commands for Android Phones. You pick up your phone and say ‘OK Google’… and then what? Your phone is listening. The microphone icon is pulsing. What do you say to your phone? What can you say to it? Google Now’s voice function has become surprisingly robust over the years. Here’s a list of just about everything you can say to Google Now. Try experimenting with different phrasing, you’ll be surprised how much it understands. The part of the phrase in [brackets] can be replaced with any similar term you choose. If Google Now doesn’t get your spoken commands right, you can correct it by saying ‘No, I said…’ and trying the phrase again. . . .
One of the conceits of writing is the perception that when you’ve written on something, it’s behind you. Not that nothing else need be said on the topic, but only that it need not be said by you. That’s silly for a host of reasons. I started writing the print version of Ball in Your Court ten years ago–before the 2006 Federal Rules amendments and before the EDRM. Half my readers weren’t in the field then, and veteran readers surely missed a few missives. Plus, if the point was worth making, perhaps it bears repeating. So, I now revisit columns and posts from the primordial past of e-discovery–starting over as it were, updating in places, and hopefully restarting a few conversations. As always, your comments are gratefully solicited. Have Law Schools and Bar Exams Dropped The Ball On Legal Research? ≈ Comments Off on Have Law Schools and Bar Exams Dropped The Ball On Legal Research? According to quantitative research conducted by Thomson West (now Thomson Reuters), new associate attorneys can expect to spend 45% of their time conducting research. Yet despite this high percentage, criticism of the research abilities of new associates persists. . . . There have been a handful of important recent studies on practice skills that post-date the Carnegie Report, and they are reviewed in this article. All of these studies support a stronger emphasis on legal research training in law schools, and all but one either suggest, or directly call for, an integrated approach where some tasks are taught in both the online and print formats. All but one of these studies surveyed practicing attorneys. . . . All of these studies show that legal academia must devote more time to teaching legal research, and all but one support my conclusions: that attorneys still use books to conduct research, book usage occurs much more than most people think, and law schools need to teach both online and print-based research for some tasks. New attorneys frequently lack basic knowledge of how to use research resources, yet this knowledge is the link between legal research and legal analysis. . . In short, law schools can do a better job at teaching legal research. 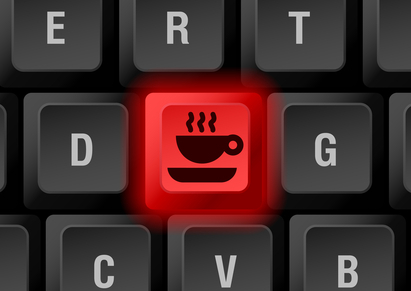 Today, rather than attempting to write a semi-brilliant blog post because, quite frankly, I’m not feeling all that semi-brilliant, I’m sharing some incredibly cool keyboard hacks for savvy legal people everywhere. Read them. Test them. Love them.